is Tula and Moon sign associated with the name Rab is Libra. The name Rab has Air element. Venus is the Ruling Planet for the name Rab . The name Rab having moon sign as Libra is represented by The Scales and considered as Cardinal . Normally, people with the name Rab have an attractive personality. They tackle the most difficult situations with ease. Such people are fine strategists. Please suggest meaning of name Rab in other country, history of name and famous personality with name Rab or you like to put your any comment/suggestion on this name for other visitors. We have received lots of suggestion from our website users on baby names. We are thankful for all the contribution on meaning of boy name Rab. What does the name Rab mean in other origin if you know then please suggest. Further suggestion or detail on what is the meaning of name Rab. History of name and famous personality with Rab will help to update our database and other website users. 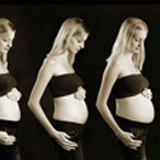 Know comman Physical changes during Pregnancy? List of British baby names, British babies names, British baby names and meanings has been compiled from various resources. Please use this up to date list of British name as a reference to name your kid/child. This vast database of British names has been compiled from various references and suggestions provided by our web site users and resources partners. This information is developed to primarily serve as a reference. We are unable to respond on request for personalized assistance at the moment. Thank you for your support. Largest list of British baby names with meanings, numerology, popularity and comments.